The Cobbler Christmas tree competition has been going on for years. 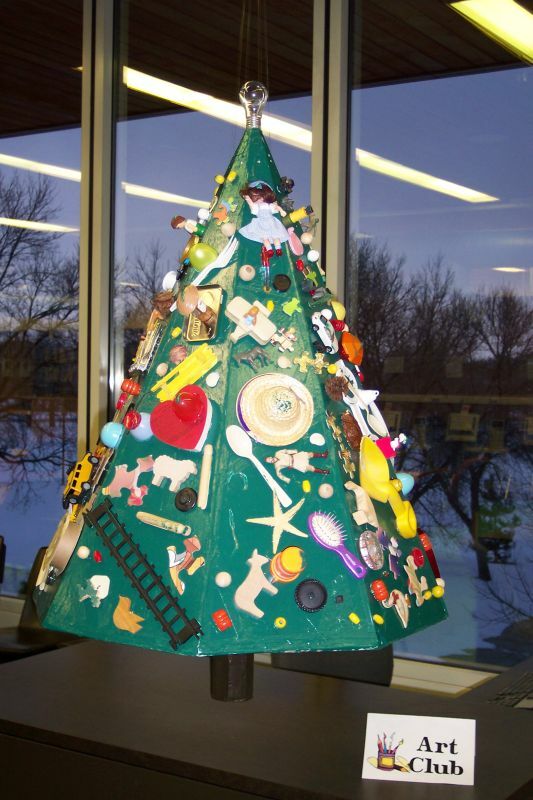 Groups around the school from drama to the lunch ladies create and decorate inventive Christmas trees that are displayed in the library. Students get a chance to give their library fund money to the tree that they like the most, and donations are accepted also. The funds this year will go to the Cases-For-Kids organization. This organization helps children who have been pulled out of their homes due dangerous circumstances, like drug and alcohol abuse. Such children often find themselves in a shelter by themselves without basic necessities, and Cases for Kids supplies them with a backpack full of those necessary items, including clothes, toiletries, and toys. So go into the library and donate your money to the tree of your choice helping children in need.